Since 2009, we’ve been expanding into the exciting worlds of Augmented Reality, Virtual Reality, and Mixed Reality, creating content for a long list of happy clients. 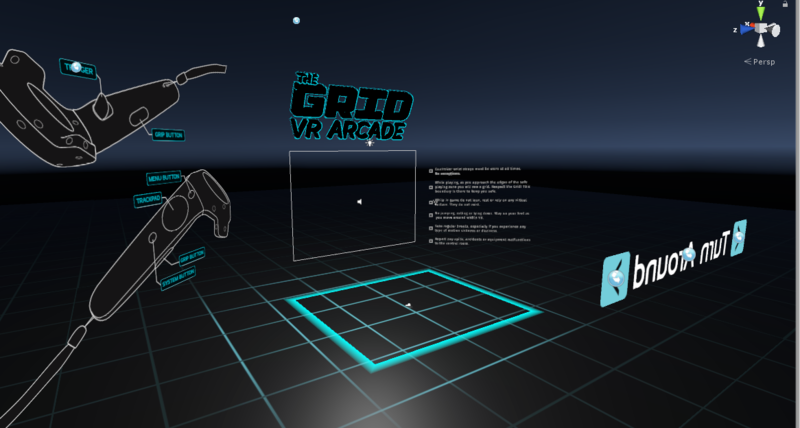 In October 2016, we opened The Grid VR Arcade as part of our facility. The first arcade of its kind in western Canada, and the second in the nation, this is “room scale” VR, where the person wearing an HTC Vive headset can roam freely around the room, picking virtual objects up off the floor, peering under table tops, or battling zombies that are alarmingly eye-to-eye. To allow users to seamlessly move between games we developed a custom VR game launcher. It was created using the Unity3D game engine and makes great use of the HTC Vive and SteamVR.